I’ve had these 3 pots of bougainvillea for the past 6 years. When we moved to this new house, I thought of leaving them, but SIL advised me to pruned all the sharp thorny stems and transported them together with other plants. So after a few months of adapting to new surrounding and location, they are finally blooming with great flowers. “Bougainvillea was named after the world traveler, Louis de Bougainville, who discovered it in Brazil in 1790 and brought it to Europe where it became both widespread and popular. 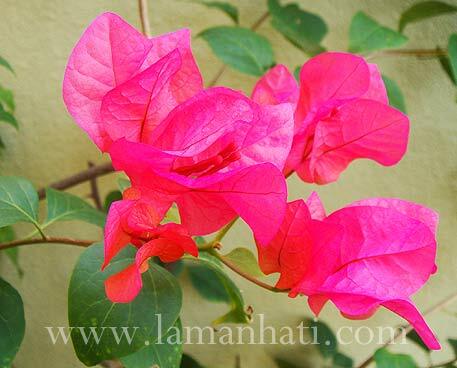 General aspect and origins – Bougainvillea glabra is also known as bougainvillea or paper flower. This vine is native to Brazil. Its woody stems can reach up to 15 to 30 ft (5 to 10 m) long, if not pruned back. 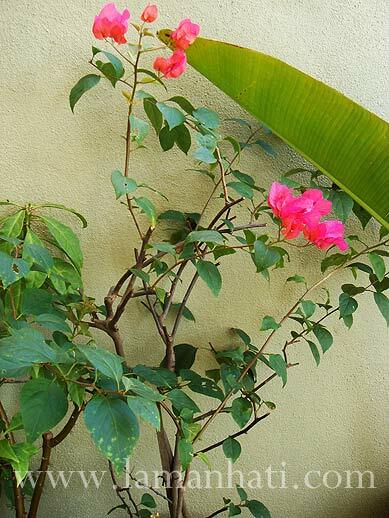 Bougainvillea flowering is very showy, and can be of various colors, depending on the different cultivars. 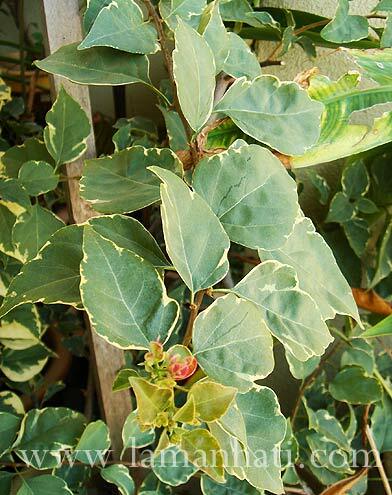 Leaves – Bougainvillea glabra has an evergreen foliage, which can be semi-decidious in colder places. Leaves can be of different shapes, depending on the different varieties, and can be up to 4 in (10 cm) long. Flowers – Flowers are insignificant, tubular and white-cream. They are surrounded by colorful bracts, which can be orange, pink, purple, red, yellow, white depending on the varieties. 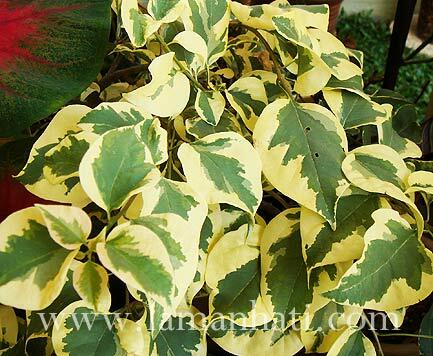 I love this one with its striking contrasting green and white variegated foliage. As of the time I’m updating this entry, it is flowering but I am too occupied to snap some new pictures. 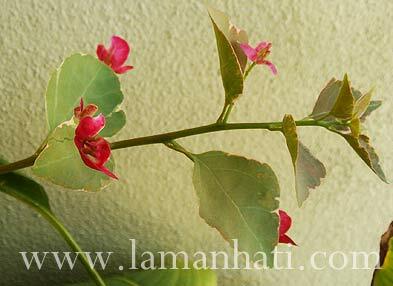 My next mission is to find a pot of Bougainvillea with rich bright red bracts. Will update more if I could find one in the nursery nearby..heh!